Many artists pursue music with dreams of making it in the entertainment industry. The musimc industry and the entertainment industry as a whole require extensive research by the artist to establish the underlying risks in being a musician. There are many regulations in the music industry. As a result, musicians without collection societies have to watch out for their interests while at the same time make the most out of their work. As a technique of being successful in the music industry, an artist needs to research on ways of protecting his or her work as well as increase income streams. Though music careers require persistence to grow and be successful, it is essential for the artist to always look out for his or her interests. Some organizations help artists enforce their rights, market their works (licenses), collect royalties on their behalf and arrange for collection of fees. Collection societies help artists focus on their career by handling these management issues. Choosing the right collection society is therefore crucial because different collection societies handle different regions and royalty schemes. Musicians should have an excellent knowledge of how to administer their talents even before starting to think of a successful career. Fred Zeppelin as a band signed to a major record label will benefit from copyright enforcement services of the record label. The label will also cover most of their marketing services. Being part of a label will be beneficial to the band because it relieves them from some duties. Most of their income streams will be handled by the label and paid to them as an advance. Similarly, they will earn a record label advance that will be paid to them as part of signing the deal. The two band members who write songs will receive a publisher advance that will be paid by the publishing company. The band will have income from royalties. This will depend on the nature of the deal with the record label. Most record labels will collect royalties on behalf of the artists resulting from the reproduction of songs both digital and or physical. Other royalties earned by the group are performance royalties generated when the artists’ works are played in public, and mechanical royalties earned from on-demand streaming services, which pay the artists for songs streamed on their sites. These royalties will be paid to the publisher who then pays the band. Additional incomes include retail and digital sales resulting from the sale of songs. Label settlements is also a potential source of revenue that results from litigation payouts. The band will have exclusive rights that protect the group as copyright owners. For instance, public performance rights will prevent unauthorized performance and transmission of the bands works in public. It covers the right to broadcast and performances by another artist in public. Reproduction rights will stop the reproduction of the band’s musical works. Additionally, the band will have digital performance rights to authorize digital transmission of the band’s songs. The band will have to join collection societies to protect their work and collect royalties on their behalf. The benefit of having collection societies is that they track the public performances and litigate rights violators. Performance rights society (PRS) is a rights management company that will collect fees on their behalf whenever their music is played or broadcasted in public. Phonographic performance limited is a company that handles licensing of music played in radio and television broadcasts. It also manages the collection of revenue from public performances. The band will also have to join industrial associations to gain professional guidance and collaborative support. Arts development is an association that has members working in creative arts. On joining and industrial association, the band will receive professional marketing services from the organization. The two band members who are songwriters will benefit from guidance along with advice on how to broaden their talents. Ann is a singer-songwriter who is not signed to any record label. Being a solo act, she will greatly benefit from joining a collection society and licensing agency. This agency will protect her work and assist in collecting royalties. Collection agencies will also assist her in pursuing new income streams apart from live performances. Collection society will help market her work to enjoy relevance across the region. Ann’s potential income stream include mechanical royalties generated through replication of recorded songs. Commissions from songwriting services rendered to another artist for creating original work for them. Public performance royalties when her songs are played in public, for instance, television, radio, restaurants, and concerts. Streaming mechanical royalties from video streaming services paid to the copyright holder of the song. The composition of original works for broadcast fees is usually paid to the songwriter. Synch licenses for the use of her existing works in media, for instance, movies and video games. Revenue generated for the use of her songs in ringtones and call back services. Sales of sheet music and other compositions to other parties will earn her additional income as well as lyrics display – income for the display of a song wording on websites, paid to the songwriter. Litigation settlements from copyright infringement lawsuits is also a viable source of income. 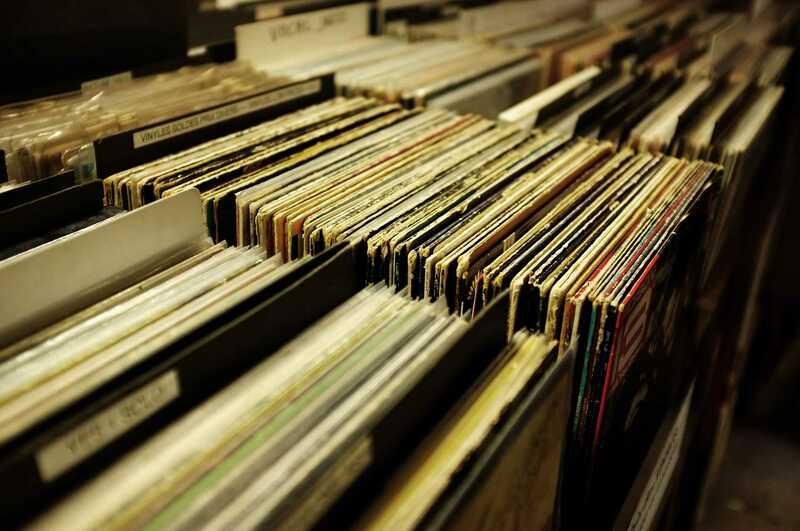 Retail revenue from the sale of physical recordings in stores or mail order is another income source. Likewise, sales at concert and shows – income generated from the sales of music directly to fans. Sponsorship and corporate support for concerts and tours. Also, merchandise sales resulting from her brand image. Copyright and rights that can protect her works include, public performing rights to cover unauthorized performances or broadcast of her work in public. Reproduction rights, which is the exclusive rights of the copyright holder to authorize the reproduction of musical works and records. Digital performance rights will prevent unauthorized digital transmission, for instance, internet streaming. Copyrights will be attached with exclusive rights to produce and sell copies of her works, to import and export the works, to derive the work of someone and to perform or display the work publicly. Performing rights society that represents songwriters and publishers is responsible for the management of their musical works. Whenever an artist music get played or performed in public, the society collects royalties on their behalf. Also, it covers mechanical rights and receives royalties on the reproduction of music either digitally or physically. Phonographic performance limited (PPL) is another association for performing artists. It helps artists collect revenues. Moreover, the association issues licenses for playing music in public and commercial places. After collecting royalties, it passes them to registered members. Therefore, with Ann being a composer, joining a music society will be beneficial to her career. Since Ann is an independent artist, she will have to join an association with independent artists to learn collaboratively and have a collective effort when fighting for their rights. This will also help her in the marketing of her work and diversification in her career. The association will help her better negotiate contracts and ensure that she gets the most out of her career. The industrial association will relieve her of duties and enable her to focus on her career much better. No direction is a tribute band to One Direction. Tribute bands play songs from an original group mimicking their style and their acts. They imitate former bands performance in concerts and record songs similar to the band. Tribute band makes their revenue by live performances of an original band songs. This revenue comes from ticket sales to shows and endorsements by corporates. Merchandise sales also constitute the band’s income, together with the sales of items such as t-shirts and key chains with the bands branding. The group can also benefit from streaming services and sales of music-on-demand sites, which will pay royalties to them. Physical sales of albums in concert and stores can raise revenue for the group. Tribute bands pay for the license to play music from original singers. They send a list of all the songs they will play to performance rights organization so that they can calculate the licensing fees. Then the rights holder provides a percentage of the band’s revenue. The band will have to join performing rights organizations to manage purchases of performance licenses and mechanical licenses. This organization will have to monitor the band such that they do not infringe on the copyright of One Direction. They also need an organization to manage their concert and tours as well as bookings. Tribute band can join industry associations for artists to get professional advice and develop their careers. Industry associations educate bands about matters of the music industry as well as network them with other similar artists. It can also assist to market the work of artists. The band can also join regular industrial association. These associations can help them manage their performing rights better. Similarly, the organization will empower them and handle their musical concerns. The industrial organizations give voice to artists. Red Too, a successful producer, with some hit records over the years has a contract with record companies. He uses session musicians to perform on his recordings. Record producers have the role of oversight as well as managing the recording process. The creative progress of a production depends on the producer. For instance, the producer may assist in the composition and writing adjustments. The producer’s income stream is the payment accrued from producing the work of other artists in the studio and live settings. This can be paid by the record label or the artist. Royalties from songs co-written by the producers is a source of income. Production of live performances can earn the producer additional income while sponsorship and endorsement from corporate brands can earn the artist income. At times producers own rights to some songs. This song can earn royalties regarding digital performance. Producers can make public appearances and sell other image rights to obtain revenue. They also earn record rights from their produced works depending on the record contracts. Moreover, they can sell the license to their beats to artists or record labels. The record producer owns the copyright in sound recording. This is separate from the lyrics and music in the recording. The composer also owns the copyright to that music, which is a protection of the literary work. The copyright of record lasts 50 years from the time it was first played to the public. Moreover, rights included in producers’ rights include reproduction rights to protect against reproduction of their original works. Distribution rights to cover distribution of the record and rental rights to authorize lending of the record. Red Too can join the professional association for directors and producers. It is a collective management organization that distributes payment to record producers. Directors UK is a perfect example of this organization, which monitors and collects royalties for clients. This creative society also looks out for the contractual right of the directors. The professional music industry organization such as music producers’ guild represents record producers and other professionals in the recording industries. Membership is open to record producers, studio engineers, and sound designers. The association help members to share collective experiences and collaborate with other members of the association. It also helps producers recognize talent within them by awarding best-performing members. It has an affiliation with other associations to enable networking and marketing of its members. Music collection societies manage the collective rights of artists and other music industry payments. They help their members navigate the contractual areas of the entertainment industry. Remuneration and revenue collection is always the priority in any enterprise, and it is only fair that artists benefit from their creative abilities. The underlying idea of collective society is always to ensure that the artist’s rights are protected. Because of the music industry’s competitive nature, most collection societies are working with better rates to sign more members. The important element of these collection organizations is the ability to enable members to build their brand with the least effort possible. Regional boundaries limit music collective societies at times, therefore, the need to network with other societies to increase the revenue collection areas. These societies are useful in the management of artist’s licenses, collection and distribution royalties to its members. Collection societies also negotiate for better treatment of artist in the music industry. Performance rights organizations are organizations, which enforce copyright for performed works. The outsourcing of these jobs of royalty collections to collection societies is always a relief to the artist, and therefore, focus on their works. Most record labels will help an artist increase his or her income potential by exploring new markets like image rights. Creation of awareness on the artist to explore this new area of revenue collection is the responsibility of industrial organization hence the importance of being a member in one. Also, most music industrial associations will advise members on how to pay their taxes to avoid prosecution.